Even though it’s a little late (I was out of town) I’d just like to take a moment to break away and give my congratulations to the winners of the 85th Academy Awards. 2012 was another year filled with many excellent films, and I must say that all the Oscars earned this year were once again well deserved. 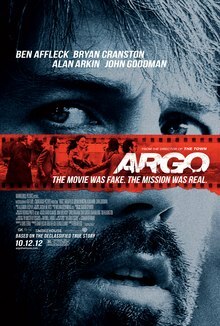 Argo was the clear winner in my mind and it had a lot of qualities that made the other nominees unique.
. . . it might be a few years, but I know for certain that Argo will contribute to the Connections list. Also, congratulations to Daniel Day Lewis, for his third Best Actor award. That was probably the best acceptance speech I’ve seen in a while.